The Webster County Highlanders basketball team finished a historic, record-breaking season with a 47-40 win over Parkersburg Catholic in the WVSSAC Class A Championship to cap a 28-0 undefeated season, becoming the first team in state history to complete a 28 game schedule and remain perfect. This design will hang as a 4'x6' banner in the gym at WCHS but you can order your own copy in an 11.25" x 17" commemorative mini-poster featuring all the varsity players and coaches. Listed at the bottom is the season schedule, complete with the opponents and final score from each of the Highlanders' victories. These posters are now available for pre-order here on the site. Deadline to order is April 12. 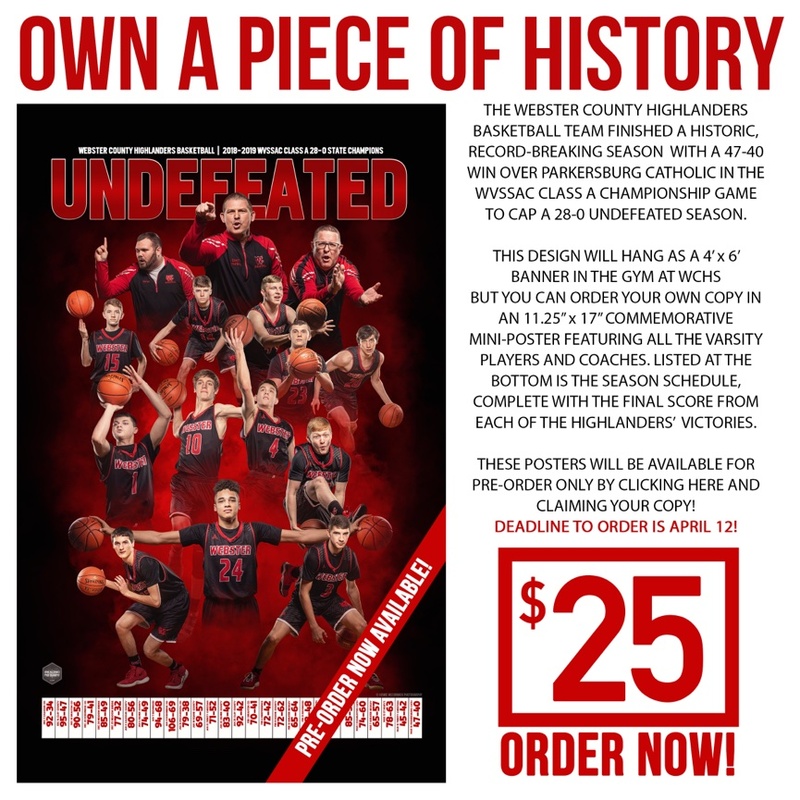 Everyone who orders will be notified when posters have been delivered and will be given the option to pick up at Howie McCormick Photography in Gassaway or arrangements can be made for pick-up in Webster Springs.